The 2018 Hallmark Keepsake Ornament Dream Book is now available at Ryan’s Hallmark Shops. 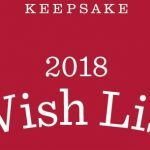 See all of the new 2018 Keepsake Ornaments from Hallmark. Each Dream Book also contains a Wish List on the center page. Use it to make your list of ornaments to purchase or turn in your Wish List to us and we will fill your order before we stock our shelves. 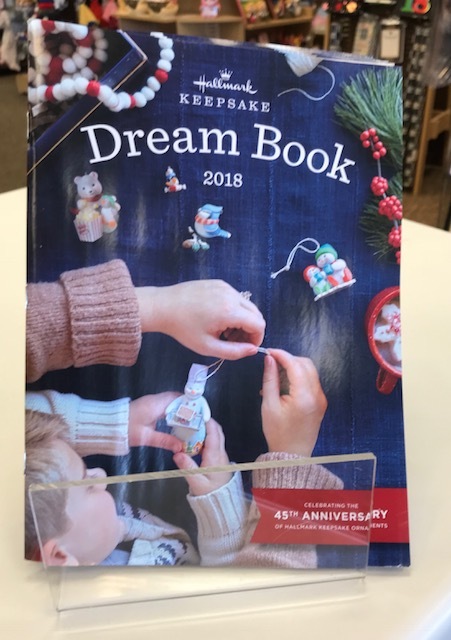 This year’s Keepsake Dream Book celebrates 45 Years of Hallmark Keepsake Ornaments. It contains all of your favorites – Series and “unofficial” series that you see each year. Plus 3 new First-in-Series Ornaments.